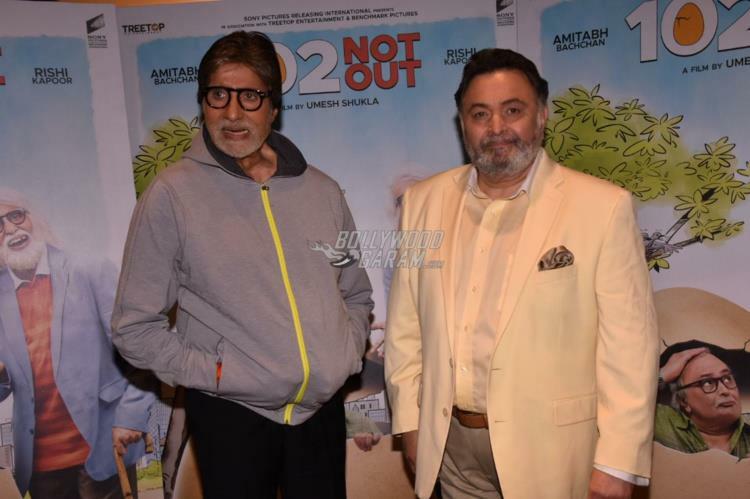 Bollywood stars Amitabh Bachchan and Rishi Kapoor promoted their upcoming film 102 Not Out at an event in Mumbai on May 4, 2018. The film has hit the theatres on May 4, 2018 and the lead actors, are doing their best in terms of promotions of the film. 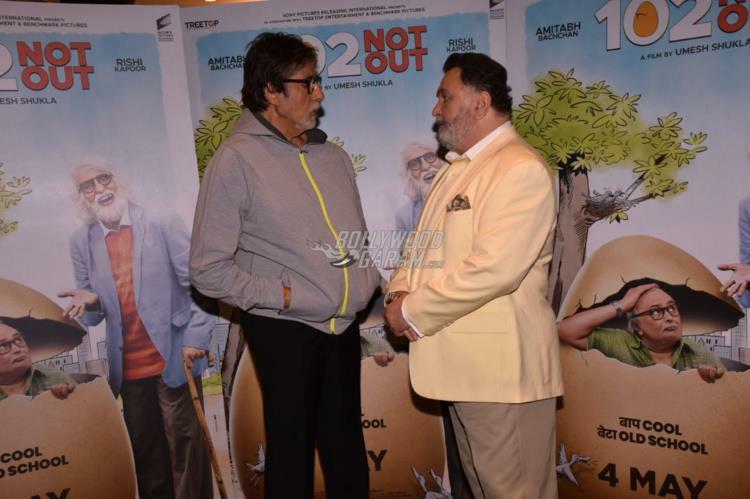 Amitabh was seen at his casual best in a zipper jacket and black pants while Rishi Kapoor was seen in a light color suit. 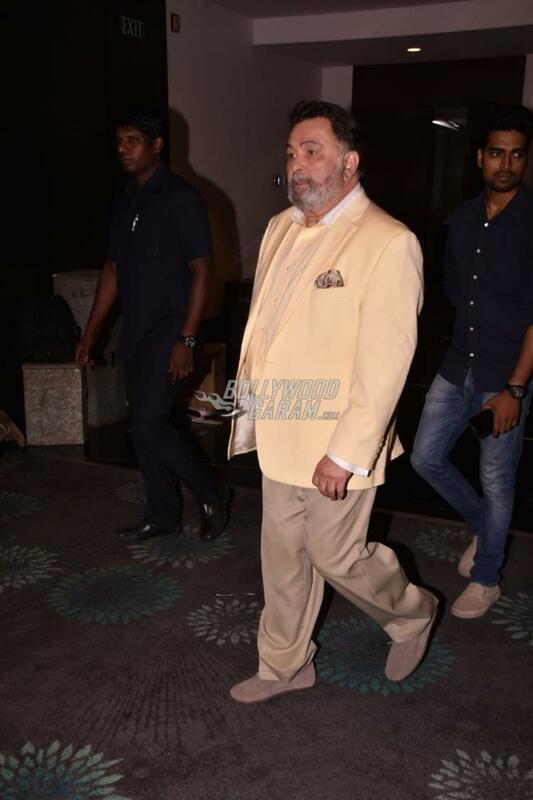 The Black actor and Kapoor will be seen playing a father and son duo. 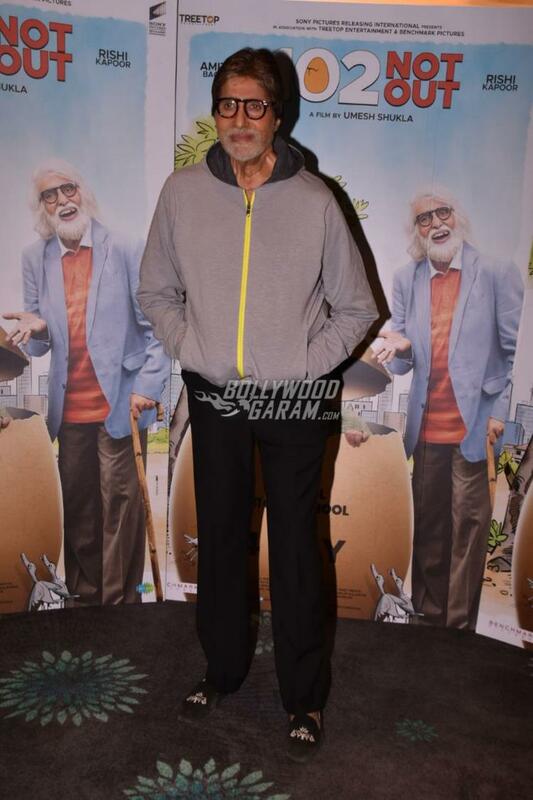 Amitabh plays a 102 year old man while Rishi is his 75 year old son. The story has inspirations from the Gujarati play with the same name. According to the trailer, the 102 year old man in the film wishes to break the record of being the oldest man in the world which is currently being held by a Chinese man in the flick. Early reviews of the film have indicated a good response from the audience.